One story home now available in Cottage Lake Ranch. Set back from the street on a level shy half acre. Lovely updates include dark hardwood floors, vinyl windows, skylights, and nice kitchen. Floor plan includes a den with closet accessed via garage. Private and peaceful backyard with patio and arbor. 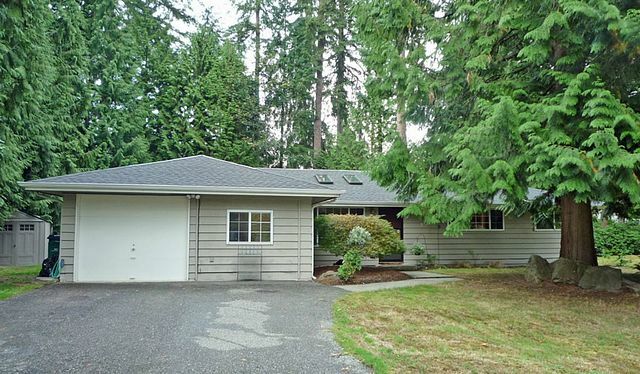 Long driveway offers nice curb appeal, RV parking, and extra parking. Shed included. Lots of room for gardening and recreation.